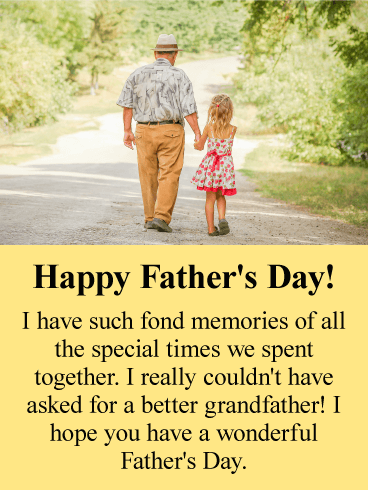 You love your grandfather and have fond memories of the two of you, so of course you are thinking of him on this special day that honors him and all that he has done for your mother or father. This lovely Father's Day card will certainly add joy to your grandfather's day. 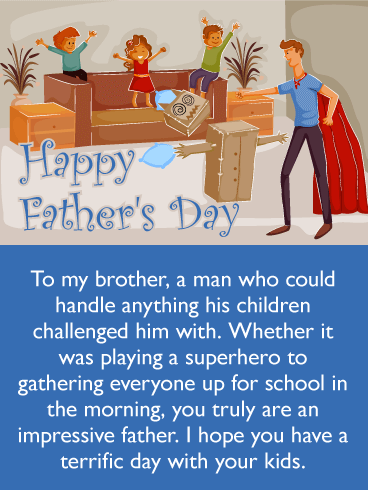 He is a great father to your parent and a terrific grandfather, he deserves a special Father's Day card such as this! Happy Father's Day! I have such fond memories of all the special times we spent together. I really couldn't have asked for a better grandfather! I hope you have a wonderful Father's Day. This charming Father's Day card will warm your uncle's heart when he reads you think he is a terrific father! It showcases an image of a father and child fishing together. 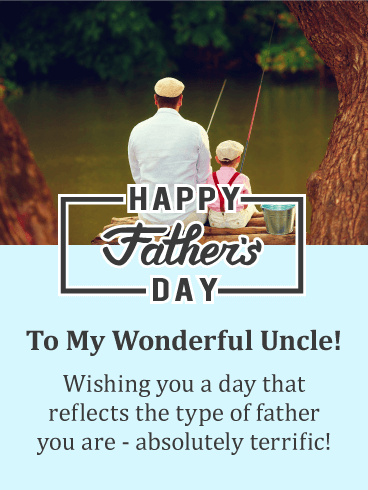 It will tell your uncle that he should have the type of day that reflects what type of father he is, which would be an absolutely terrific day! Send this Father's Day card to your uncle so he knows you are thinking of him! Send a fun Father's Day card to your uncle this year, he will be so glad you did! This special Father's day card features fun balloons that will get your uncle's celebration on its way! 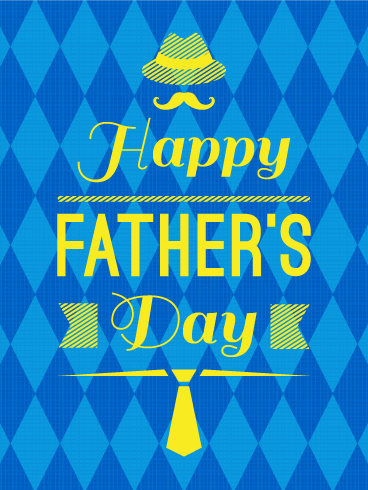 The message wishes him a day of fond memories, joy, and fun, which would make for the perfect Father's Day. 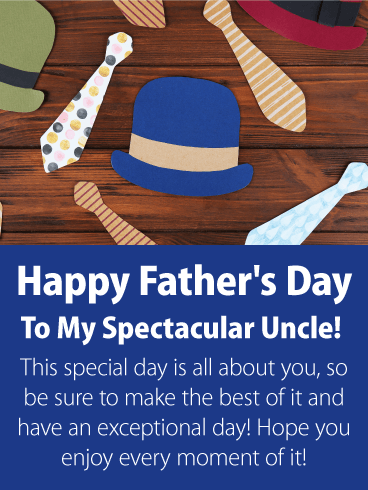 Let your uncle enjoy these colorful balloons on this very special day by sending this great Father's Day card today! 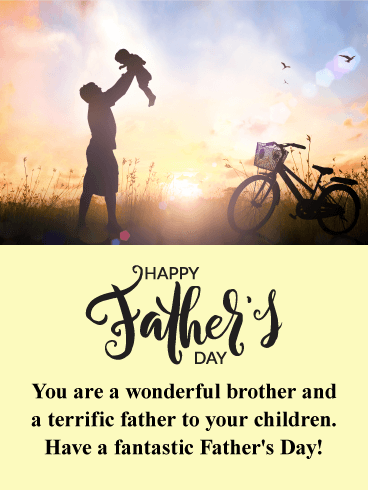 If your brother has the same type of relationship with his children that the two of you had with your father, then this Happy Father's Day card would be perfect for him! It features a brother and sister enjoying a fun day with their father. 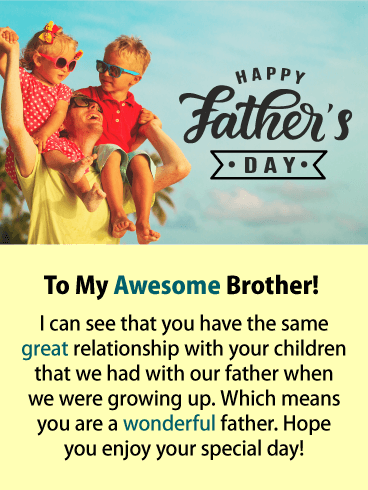 This Father's Day card has a touching message that will make your brother grateful he has such a thoughtful sister. 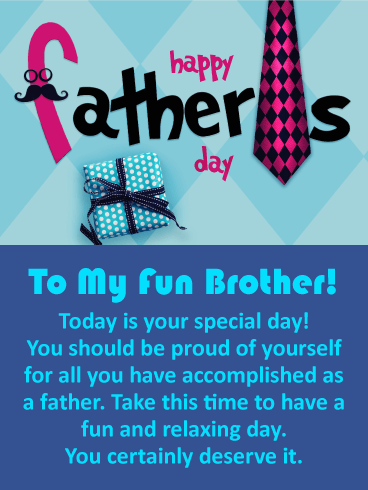 Send your awesome brother this wonderful Father's Day card soon! Looking for an eye-catching Father's Day card to send to your uncle? You just found it! This greeting card showcases hats and ties that look fantastic! 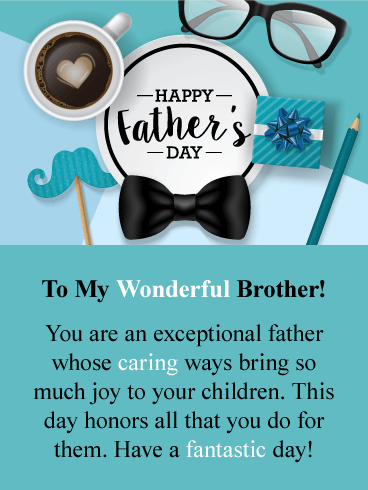 Your uncle will appreciate that his niece or nephew is thinking of him by sending this Father's Day card, especially when he reads the message that expresses that he should have an exceptional day! Send these hats and ties to your uncle soon so he has them in time for Father's Day! 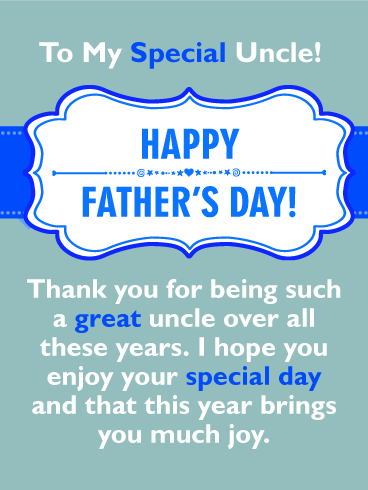 Thank your uncle for being so great to you and send wishes of joy his way with this Father's Day card that was designed specifically for this grand occasion! It was created with catchy colors of green and blue, perfect for Father's Day! 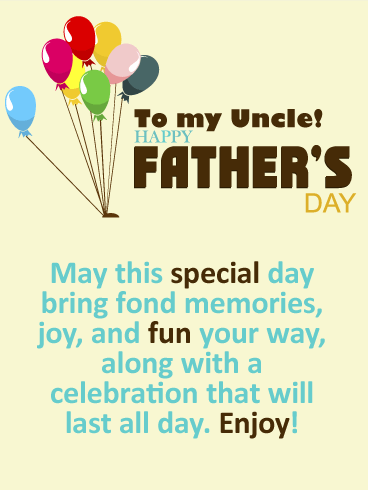 Sending this greeting card let's your uncle know that he is important to you, and it will put a smile on his face. Be sure to send this terrific father's Day card out on time! 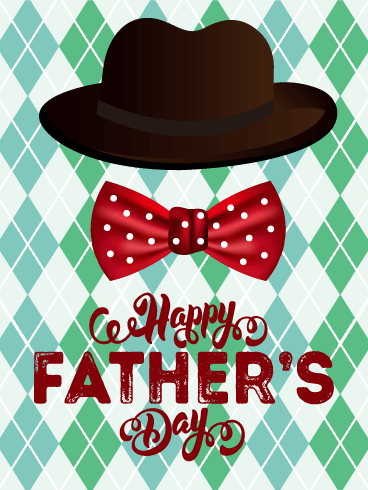 Wish your dear uncle a relaxing Father's Day with this special Father's Card made just for him! It displays creatively placed wooden letters that spell Happy Father's Day. He will love that fact that his niece or nephew sent such a thoughtful Father's Day card his way. 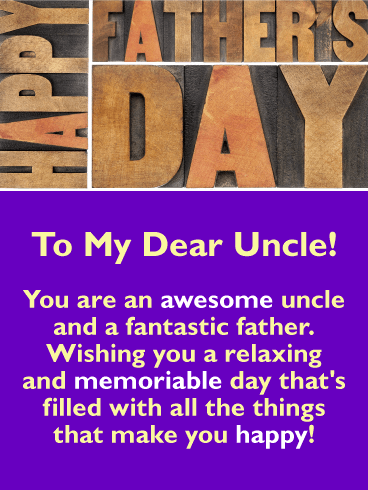 This greeting card wishes your uncle a day filled with all the things that make him happy and this will make his day a great one!